Gemma is a middle grade novel that follows a curious explorer and her ring-tailed lemur, Milo, as they hunt for the “most greatest treasure in the world”. Solving riddles, battling a bell-wearing jaguar, and traveling the Eight Seas, Gemma’s adventures take her from a young girl to a brave captain, whose only limits are the stars. One of our most popular kids videos, this is the story of a group of robots winding down for the night. The Robot Bedtime Book is a playful bedtime story that encourages interaction, imagination, and a fun bedtime routine. While drawing in class to avoid listening to a story from his painfully boring teacher at Stagwood School, 12-year old Cal sees a frog staring at him through the window. Odder than that is the fact that this frog happens to be wearing glasses. Cal and his best friend, the tactless but loyal Soy, learn that the frog (who prefers the name Deli) has sought them out for a reason. When a school administrator named Ream reveals himself to be a dragon, the boys discover that fairytales are real, and that there is magic afoot in Stagwood. With Ream on their tail, the trio must unearth a powerful tool protected by riddles and rile (the magic that fuels nightmares) to save the fate of all fairytales past. Their only means on conveyance, Cal's now-flying bed, takes them on a journey beyond the home of the fairies (a cloud floating somewhere over Iceland) to set things right. But, before Cal can defeat Ream and his kidnapped army of fairies, he has to deal with Soy's knack for arguing with magical creatures, discover the truth about Deli's identity, and earn his place as the hero of the story. The Guardians of Lore is a middle grade novel that centers around two life-long friends, infusing humor and fantasy-based riddles into a modern fairytale. Explore the ocean floor and discover the location of Orangebeard's Treasure in this series of adventure stories for kids! 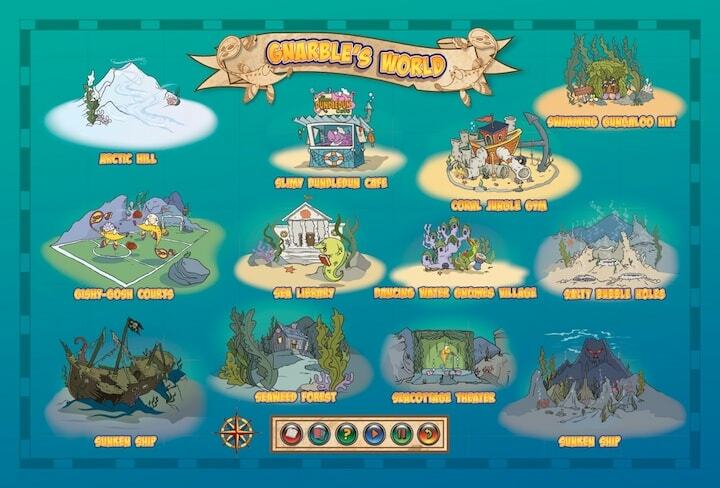 Each location that you visit under the sea reveals a unique story from the gnarble. Piece together the clues with reading comprehension and reasoning skills to solve the mystery! FREECHILDRENSTORIES.COM PROVIDES BEST-SELLING CHILDREN’S STORIES FOR KIDS OF ALL AGES FOR FREE. READ MORE ABOUT US HERE!